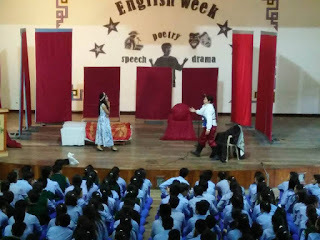 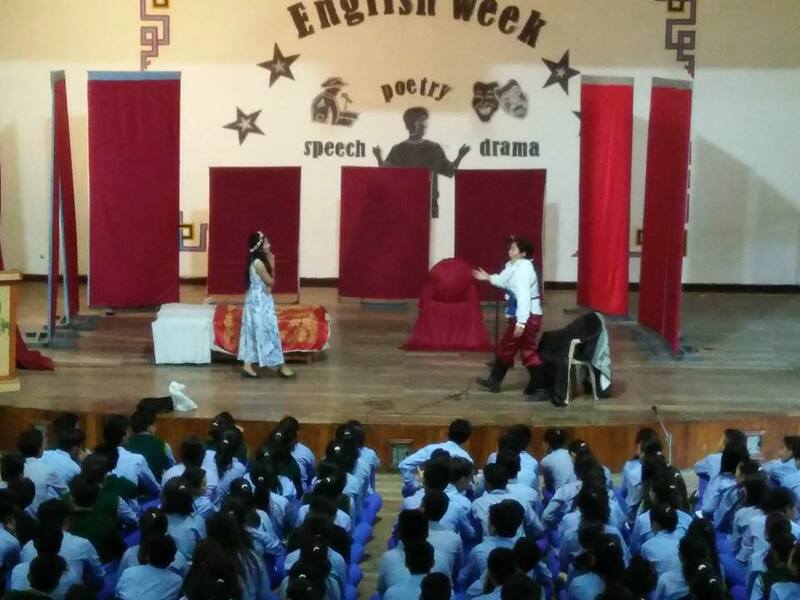 English Week is observed from 22nd may to 27th may. 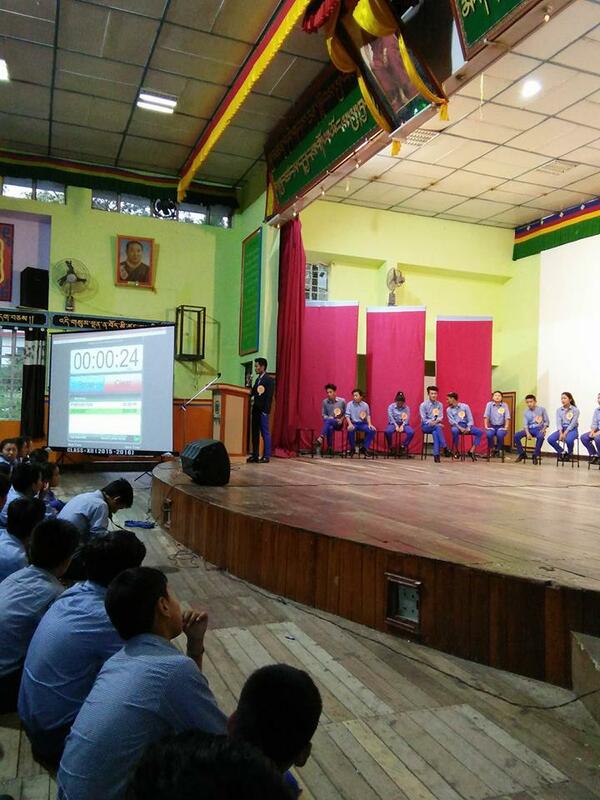 The English department has organised morning and evening activities and activities are divided as class 7-12. class 7-8 have presented importance of education , reading books during the morning assembly. 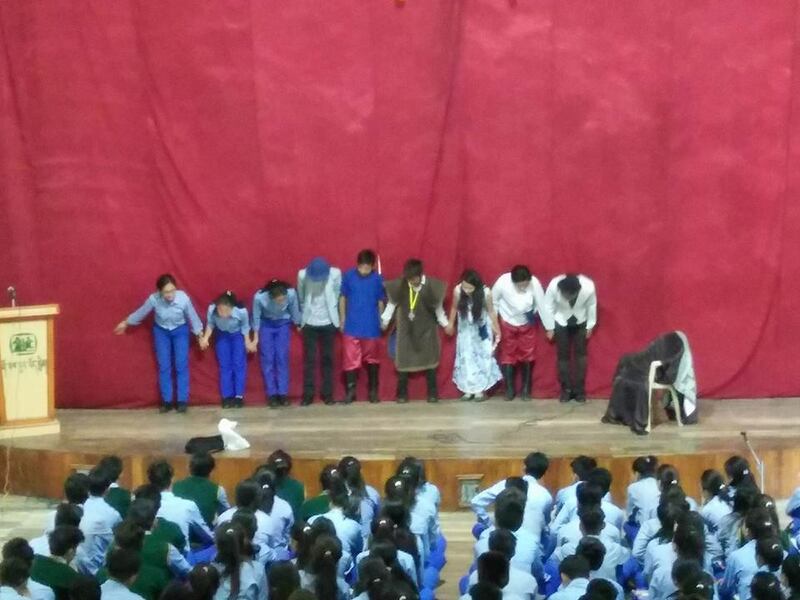 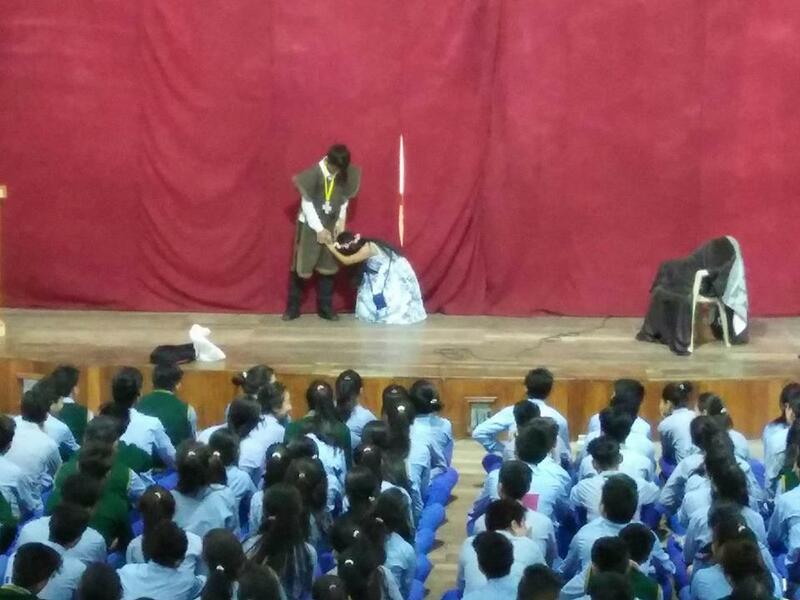 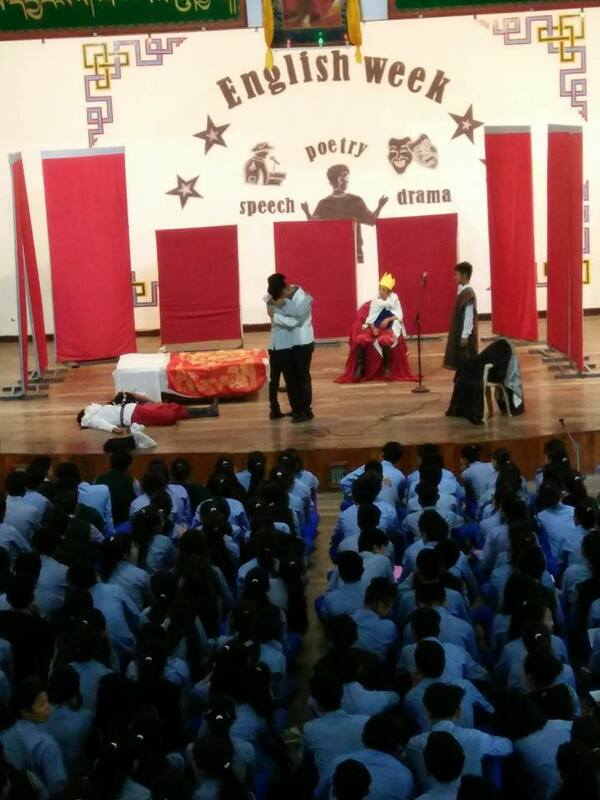 Class 9 presented a short drama. 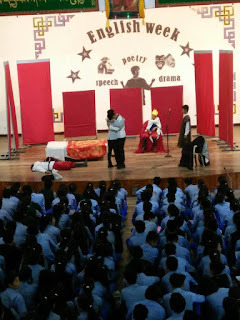 class 10 presented some speeches of great personalities and class 11-12 have presented Poem reading and, writing by students them-selves. 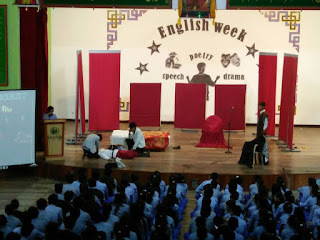 And in the evening, we have organised English Movie, Extempore Contest and English Song Night. And on the corridor board English Department has put up Caption Contest for class 7-9 and 10-12 respectively. There were over-whelming participants in all the activities .